What is the procedure to get admission for BBA Courses in IILM? The college application process can be daunting for anyone, especially for those students as well as their families who are going through it for the first time. The reason for this is the high level of meticulous management and creative energy that must be drawn to put together the endless paperwork, 2000-word essays and compelling statements. Applications, especially for management courses have seen a noticeable increase over the years due to its promising prospects in today's time. The demand for management graduates in India is ubiquitous and firms from varying industries are always on the lookout for such experts. IILM, one of the top BBA colleges in Delhi, is an institute that receives several applications each year. Ranked the 11th best B-school by EdUniversal, the IILM Undergraduate Business School has a heritage of laying a strong foundation for Business, Management and Entrepreneurship that spans 25 years. The admission policy of the reputed institute aims to provide fair access to deserving candidates, welcoming a diverse student population. Prospective students seeking admission to the undergraduate courses of the institute should have completed class XII with at least 55% marks under the Indian education system. These include CBSE or ICSE or any equivalent board in India or overseas. They should have had covered English and Mathematics subjects at the class X level. Students from abroad should have completed their A-levels (under the British system). Students, who meet the eligibility criterion mentioned above, will meet with a faculty member for a counselling session. To correctly assess the student's analytical skills, this session is followed by a video case study discussion. Lastly, a personal interview is conducted, after which the admission committee makes the conclusive final decision. The rigorous and well-rounded admission process at IILM ensures that students have the background and ability to excel in the intense program and achieve their career goals. The institute has a simple and efficient application process in place that encourages applications online. Log on to www.ubs.iilm.edu, to find guidelines to go about the process. Once you've entered the required information, you will be sent an email with the institute's brochure and application form attached. For transfer applicants, the transcript including the marks of the most recent examination of the college attended is required. Originals will be returned after verification at the time of interview. 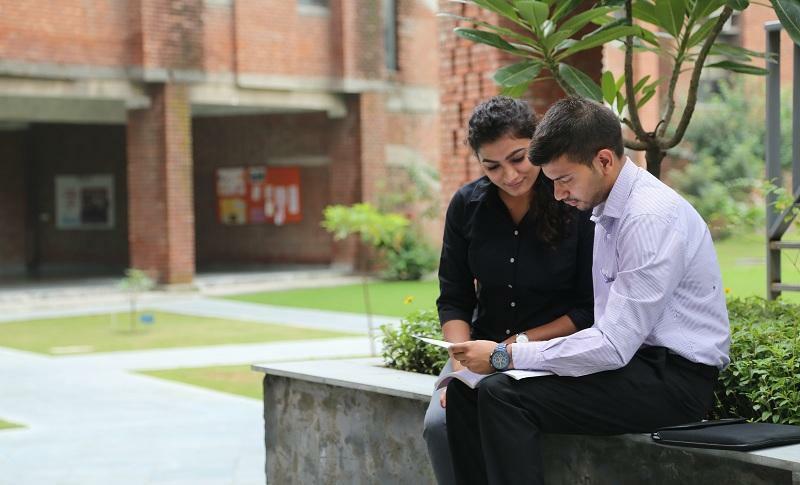 This BBA College in NCR has a quick and effective admission process that ensures you study amidst the most ambitious students in the country that strive for the best.